Monday 15th April - This is a short post but with lots of pictures! I haven't been using my fancy camera enough so I decided to take it with me to the Alchemy Indian Festival that is running at the Southbank Centre until 21st April. Sam came out to meet me for lunch outside Royal Festival Hall where a large number of Indian street food stalls were set up. He was running late as his flatmate Henry (of Katzenjammers fame) had forgotten his keys, so I wandered around to take some pictures of the Iconic Rickshaws that have been making their way around the world. Sam eventually turned up and we had a wander around the food stalls to make some decisions. We liked the look of Bhangra Burger and Brindian (Indian food served in Yorkshire puddings! ), but before we could make it over to them we got distracted by the Carrom boards. 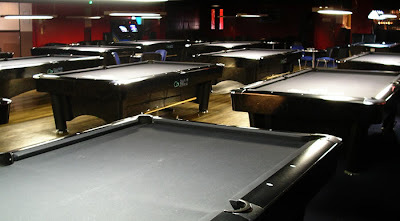 Carrom is an addictive 'strike and pocket' game popular in India, Pakistan, Bangladesh, Sri Lanka and surrounding areas. There was a very helpful Carrom guru on site who kept coming back to us to clarify rules, explain different versions and laugh at our low ability Carrom playing. We ended up staying at the market for about 3 and a half hours playing Carrom, getting up only once to get some much needed sustenance. 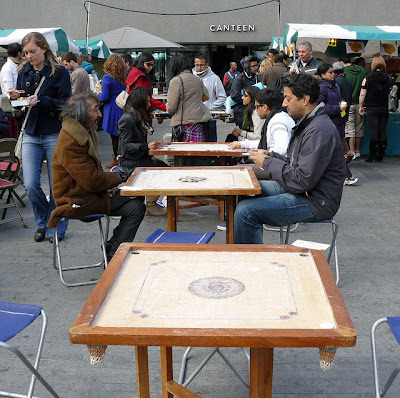 If you don't catch the festival before the end of the week, you can find Carrom man and his boards on Brick Lane. I fear I am going to cave in and buy one of his boards before the week is out. Tim (my Paris contact) came back to take an exam in London this week, and needed some points to keep up with Natalie. On Monday evening we met for a quick game of pool in The Hurricane Room in Tooting - a pool/snooker bar that is open 24/7. Apparently the bar shuts at 2am but the staff seem like they could be convinced to extend that. There is another one in King's Cross. An all-nighter is called for when Tim returns to London properly in a few months. Tuesday 16th April - Tim organised a curry the next day to celebrate finishing his exams and to catch up with London friends. We tried to get in to Radio Rooftop bar beforehand but it was already full by 6pm! 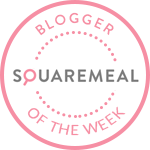 We moved up the road to the reliable Guanabara (where you will find the most polite and thorough bouncer in London) for a couple of cheap happy hour drinks before having a tasty curry in Tankari on Drury Lane. Are these places List-worthy? Well I've mentioned Guanabara before, and the curry was just curry, so no. Afterwards, however, we squeezed in a quick trip to the Holborn Whippet pub. It's situatated on Sicilian Avenue, a pleasant pedestrianised street near Holborn tube that I have never noticed before. The pub doesn't look anything special from outside which hopefully keeps some of the Holborn workers in search of a non descript lager at bay. 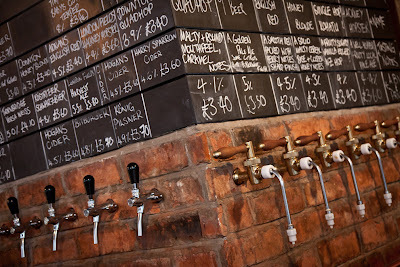 Inside is a beer lovers paradise similar to the Euston Tap. 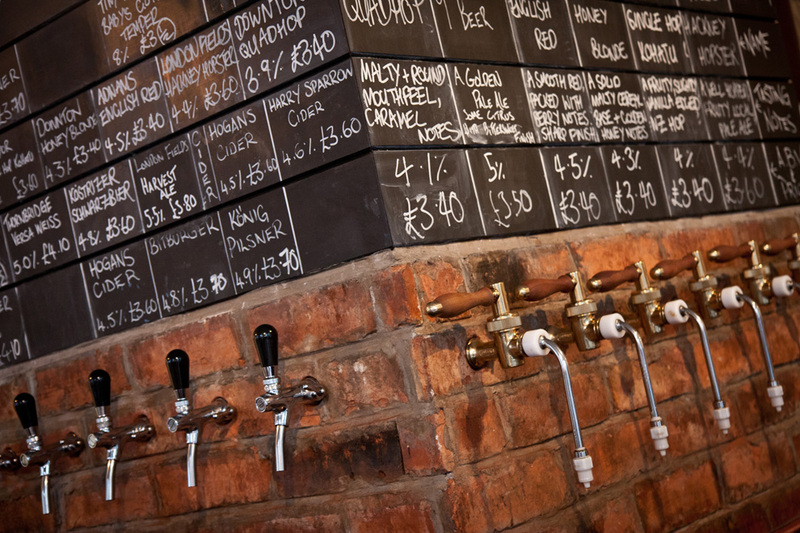 There is a small bar with unmarked taps coming out of the brickwork and beer info written in chalk above. Feeling indecisive, we got the barman to pick 8 half pints for us to take back to our table, which he jumped at the chance to do (reminding me of the ecstatic barman from Beef Club in Paris). I could easily spend all day in here but luckily it was nearly closing time so my wallet escaped this time around. Below are our attempts to conceal the frowned-upon half pint size with some 'clever' perspective shots. Thanks to Sam (Alchemy), Tim, Mark, Plotters (Hurricane Room), Will, Rosie, James and Matt (Holborn Whippet) for exploring London with me. Tim's two points are not enough for him to sneak ahead of Natalie, but he has an outing in King's Cross up his sleeve - swings and roundabouts! 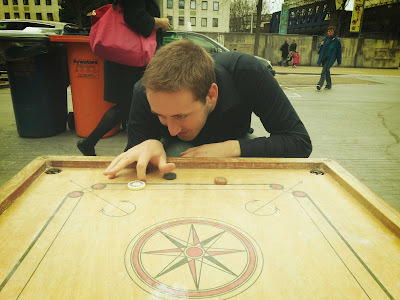 I really do recommend heading to Alchemy, even if you aren't interested in playing Carrom! The food that we eventually had from Brindian and Bhangra Burger was excellent, and there is lots more going on inside the Southbank Centre. Most of it ends this Sunday (21st April). Roti Chai have set up a 'Chaat Shack and Chai Bar' in Festival Village underneath the Queen Elizabeth Hall which will be there until 26th April.